A note on combined shipping. -at this time Reverb DOES NOT OFFER COMBINED SHIPPING as an option. While we do combine shipments on other platforms, we cannot and will not combine shipping on Reverb. If you would like combined shipping you must place your order elsewhere. For Domestic (USA) buyers shipping for the first tube, pair, or quad will cost $4.99 + $1.00 for each additional tube, pair, or quad. For International buyers, shipping for the first tube, pair, or quad will cost $12.99 + $2.00 for each additional tube, pair, or quad. Domestic USPS First Class Mail: 3-5 Days, includes tracking. Domestic USPS Priority Mail: 1-3 Days, includes tracking. International USPS First Class Mail: 3-6 weeks but up to 3 months! - NO TRACKING. International USPS Priority Mail: 6-10 Days - Includes Tracking. ALL international orders will be shipped by USPS First Class Mail International by default, which is the cheapest method at $9.99. This shipping service is very cost-effective, but you will not be able to track your package. It usually takes 3-6 weeks for a First Class Mail International package to arrive, but can take UP TO 3 MONTHS FOR DELIVERY. We guarantee all of our shipments, but we do ask that our customers wait 3 months before we grant a full refund due to a lost package. We have shipped thousands of items internationally using First Class Mail and while we have had plenty take months to arrive, we have almost zero packages ever go missing. 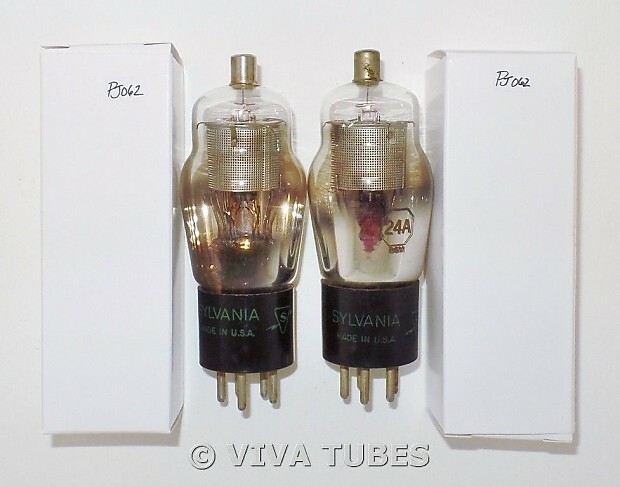 All of our tubes are 100% guaranteed to arrive as described, test as described and to be void of any sound defects including microphonics and noise. We offer a 30 day return window from the day you receive the item. PLEASE NOTE - While we accept returns for basically any fault, we DO NOT accept returns for buyer's remorse which includes buyers who decide they don't like the subjective tonal signature of a tube. We have had people exploit our generous return policy to tube roll on our dime so we have a strict policy against this behavior.